On April 25, 2012, Concordia University—St. Paul (Minn.) marked the retirement of the Rev. Dr. Thomas H. Trapp after 30 years of teaching. 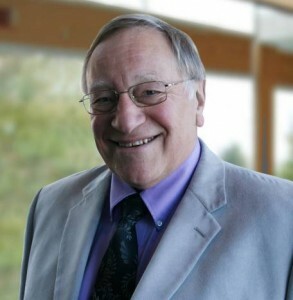 Trapp (Ph.D., University of Heidelberg, 1980) served as parish pastor in Michigan and Minnesota, and as professor at Concordia University, where he taught courses in Bible, theology, and ethics. Honored for his teaching and writing, he is also a distinguished translator who has been involved in major translating projects for religious publishers such as Concordia Publishing House, Eerdmans, and Augsburg Fortress. His most recent translation is Albrecht Peters, Commentary on Luther’s Catechisms: Baptism and Lord’s Supper. The German edition of Commentary on Luther’s Catechisms has long been the gold standard of research on the catechetical texts of the great reformer. Trapp’s translation makes this research available in English for both the researcher and the catechist. We recently had the opportunity to discuss this with Dr. Trapp; learn more in the following interview. CPH: In what ways is Peters’ commentary on Luther’s catechism useful to researchers, pastors, and all Christians? Trapp: Peters’ five volume commentary stands alone today in terms of its breadth and depth. Each volume starts with a history of the development and use of the topic in Church history. So, for example, Peters looks at the history of the development of the Creed and each of the parts. He notes what is particularly accented in terms of its teaching. He develops a thesis about how each part was interpreted at the time of Luther. Luther’s unique contribution in this regard is that that he accentuates the pro me, the pro nobis, that Jesus died for me personally, for us. Peters shows how alternate viewpoints skew the understanding of the Gospel and salvation, leading away from the complete peace that is ours in Christ. It was not enough to be “just” a member of the Church at large. Salvation was personal for him. CPH: Someone might think, “Luther’s catechism is pretty simple. How much more can really be said about it?” Now that you have translated several volumes of Peters’ great commentary, how would you respond? Trapp: Luther remarked that he himself could never comprehend everything taught in the catechism. I have been captivated by how much is there and how my own understanding and perception has grown. The reasoning provided in the commentaries provides a backdrop for Luther’s insights. I personally recommend these volumes for pastors and teachers who want deeper background for teaching young people, but also to enrich the teaching of adults, whether in instruction classes or for ongoing growth in the faith. It may be that such an observer is unaware of how the “simple” is a distillation of revelation that may be anything but simple. Luther has been accused of being simplistic, maybe even advocating a tritheism (Creator, Redeemer, Sanctifier). Peters addresses the issue by pointing out that the catechism was fashioned as a starting point for teaching the faith. He notes that in his other sermons and writings, Luther fleshes out the complexities of the relationships among the persons of the Trinity and what that means for salvation. CPH: Volume 4 of Peters’ commentary deals with the sacraments. What are the strengths of this volume? Trapp: There are three sections to this volume. An overview of sacramental thinking in general is followed by treatments of Baptism and the Lord's Supper. Peters notes that Luther does not posit a definition of a sacrament and then hunt around for what might fit. Instead, Luther looks for whatever conveys the benefits of Jesus’ death and resurrection. Thus, baptismal water is not consecrated, bread and wine are body and blood in a deep mystery, and, as the final volume will explain, Confession and Absolution/the Office of the Keys uses words pronounced to effect the forgiveness wrought in Christ, which is particularly applicable in private confession, which Luther advocated. None of the two/three “sacraments” exactly fits a common definition. Peters also explains why the topic of the “Lord’s Supper” receives that title rather than “Holy Communion.” He calls for the communal aspect to be celebrated today but points out that the Protestants of Luther’s day used the term “Holy Communion” precisely as a way to deny the real presence: Christians were gathering to celebrate their communion in Christ. There are, of course, many observations about how Baptism and the Lord’s Supper were treated over time and in various settings then and now. CPH: Does this volume challenge contemporary views on the sacraments? Trapp: In addition to what I just mentioned about terminology, the volume certainly clarifies the central role played by the Sacraments in the life of the Church and clarifies how the Lord’s Supper is integral to worship and how Baptism is more than just a right of admission; it is a powerful way in which God applies the benefits of Christ individually to effect the new creation. He notes, as well, that the renunciation of the devil and all his works and ways has been minimized in many Christian liturgies. Surprises and insights come on practically every page. It is an honor to translate such works and to deepen my own thinking. The volumes will bear much fruit for one who wants to focus on preaching and teaching these vital concepts of the faith and to grow personally.